Carted to Alabama under the cloud of dark politics, a band drew a glistening straight line from punk to country to soul to grand theater. 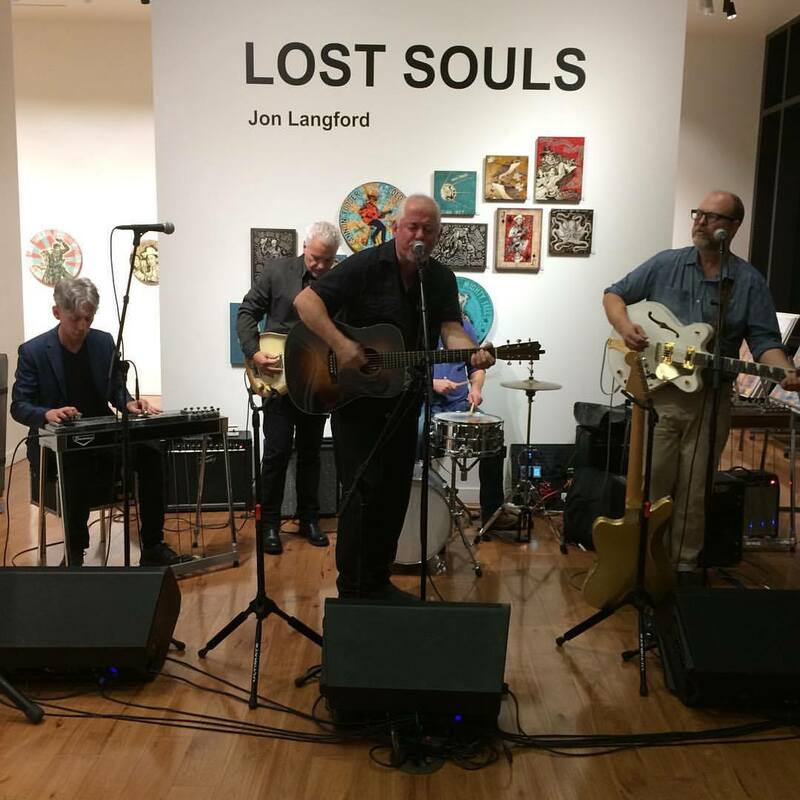 On November 8th, the day after the 2016 election, Welsh-bred, Chicago-based musician and visual artist Jon Langford and a crew of merry-makers and alchemists filed into the NuttHouse studio, a one-story former bank building in Sheffield, Ala. (population 9,039). The musicians from Chicago, Nashville, Los Angeles, and just over the Tennessee River bridge made the pilgrimage to a place of legend and myth, where music runs as deep as the river’s current, to see what might come of it all. 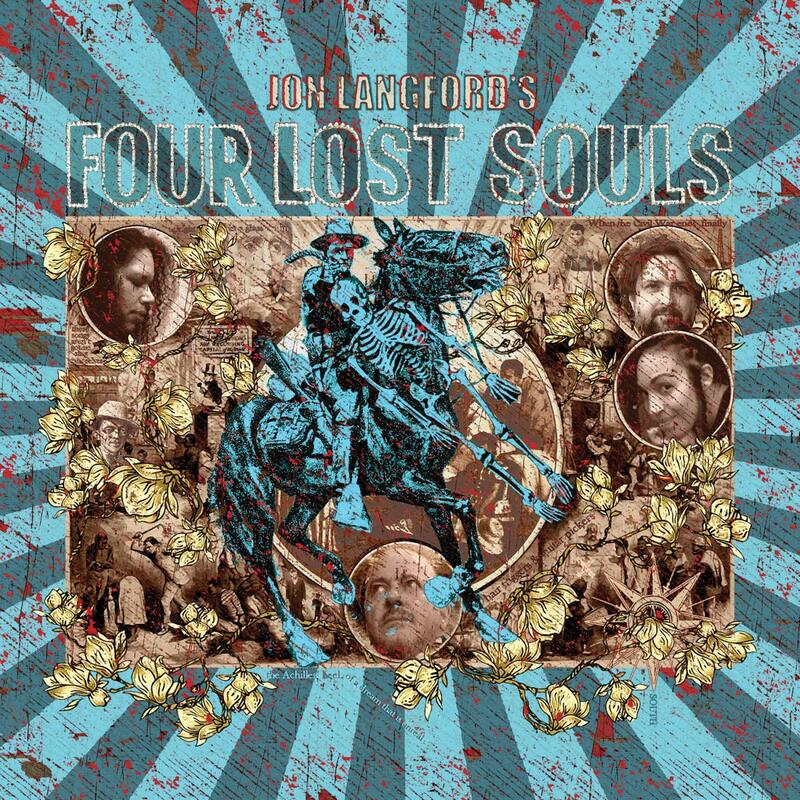 Four Lost Souls, recorded over four days, originated in 2015, 100 miles north in Nashville where Langford produced artwork for Dylan, Cash, and the Nashville Cats: A New Music City, the long-running exhibit at the Country Music Hall of Fame. 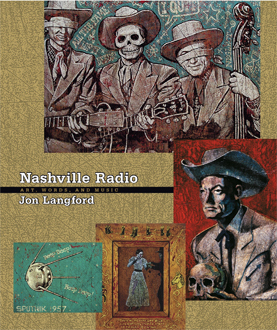 Fate had it that one of those Nashville Cats, bassist and producer Norbert Putnam, was so enamored with Langford’s paintings and piratey singing, he invited the stranger to come record in the Shoals. A year later Langford is in that studio with many of the musicians who put the region, as well as renowned FAME Studios and Muscle Shoals Sound Studios, on the musical map. Among them, members of the Swampers, David Hood and Randy McCormick—world famous players who have performed on all the songs you ever loved—and next-generation, in-the-right-pocket local drummer Justin Holder. Along for the ride were Nashville’s in-demand pedal steel guitarist Pete Finney and guitarist Grant Johnson. Together they dutifully crafted a project brimming with images of killing and hope, Faulkner, the Natchez Trace, and the sea. As word got out around town, the musicians of the Shoals stopped by to see what Putnam was up to with these Chicagoans — Jon, guitarist John Szymanski, and the electrifying singers Bethany Thomas and now-LA-based Tawny Newsome. Tomi Lunsford, a mountain soprano from Nashville, slipped into the vocal booth to duet with Langford. The morning after his gig at Champy’s, a local watering hole, Will McFarlane parked his Harley at the front door to say hello. Five minutes later he was behind studio glass with his guitar. And five minutes after that, he was back on his bike turning the corner in a cloud of dust and exhaust. 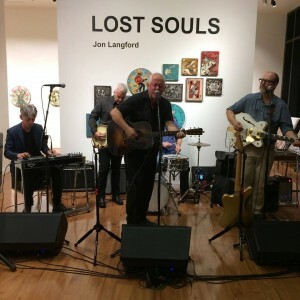 Jon Langford and his Fantastic Nashville Band! 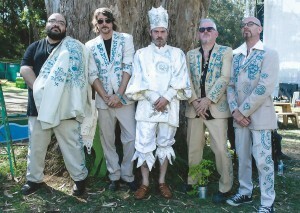 Fats Kaplin, Jim Gray, Paul Burch, Grant Johnson and Bob Kramer! 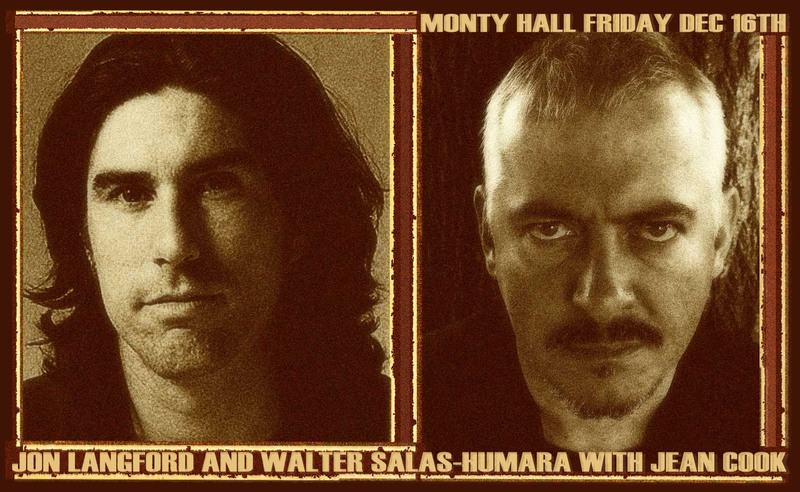 – mit Jon Langford, Paul Burch, Grant M. Johnson und Fats Kaplin! A year later Langford is in that studio with many of the musicians who put the region, as well as renowned FAME Studios4 and Muscle Shoals Sound Studios5, on the musical map. 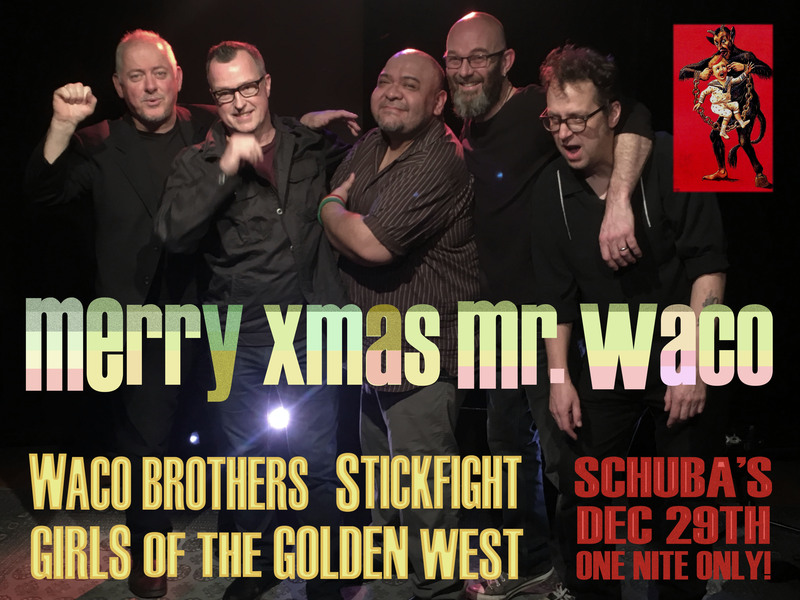 Among them, members of the Swampers, David Hood6 and Randy McCormick—world famous players who have performed on all the songs you ever loved—and next-generation, in-the-right-pocket local drummer Justin Holder. Along for the ride were Nashville’s in-demand pedal steel guitarist Pete Finney and guitarist Grant Johnson. Together they dutifully crafted a project brimming with images of killing and hope, Faulkner, the Natchez Trace, and the sea. As word got out around town, the musicians of the Shoals stopped by to see what Putnam was up to with these Chicagoans — Jon, guitarist John Szymanski, and the electrifying singers Bethany Thomas10 and now-LA-based Tawny Newsome. Tomi Lunsford, a mountain soprano from Nashville, slipped into the vocal booth to duet with Langford. The morning after his gig at Champy’s, a local watering hole, Will McFarlane parked his Harley at the front door to say hello. Five minutes later he was behind studio glass with his guitar. And five minutes after that, he was back on his bike turning the corner in a cloud of dust and exhaust. 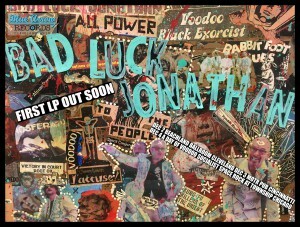 Jon Langford (the Mekons , Waco Brothers, Three Johns) stumbled into his latest project BAD LUCK JONATHAN on a remote Island in the Pacific North West. 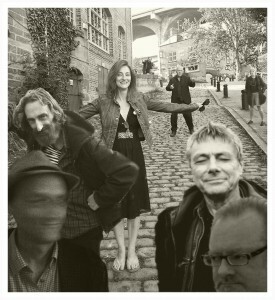 Consider the scene: A post gig drinks and witching party had dragged on ‘til direst 3 AM, words failing and minds mushing in the crowland. Langford craved his bed, poo-pooing suggestions that he and his murky band of local hired guns drive half way across the island and play songs around a bonfire for a mysterious cult of New Age hicks. 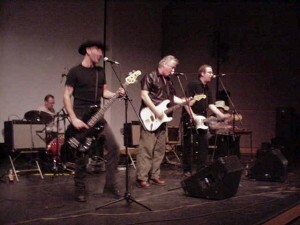 Former Whiskeytown guitarist Phil Wandscher and Martin “Blueshammer” Billheimer were shocked to witness the old man’s creeping ideological weakness and berated him harsh and much. “Have you forgotten what it’s all about maaaan?! ?”, they cried in outraged unison. The years drained from poor Jonny; he sat down, appalled at himself, and revelations began. 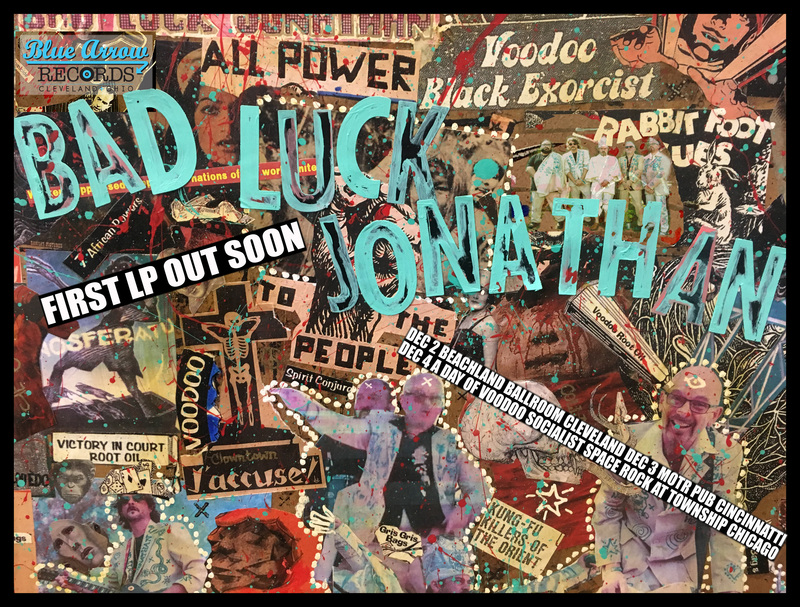 Yes… indeed… for a moment he had forgotten, but out there on the island in the dancing orange flames of primal pagan combustion BAD LUCK JONATHAN was born. The beetle-black sod has quaked ever since and will always, Damballa be praised! Voodoo socialist Space Rock for this moment alone! But also perhaps for the future spaceways and future ghosts. Hark, worms and angels. Harken! 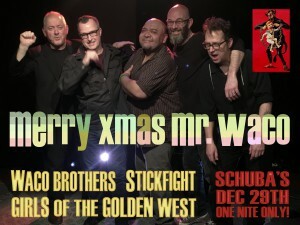 On parole, Waco Brother’s Mayor Jo Jo (Joe Camarillo) and Captain Alanis Giggles (Alan Doughty) provide the reliably muscular rhythm section. The self-titled debut album was recorded in about half an hour with the mighty Mike Hagler at Kingsize Soundlabs Chicago.